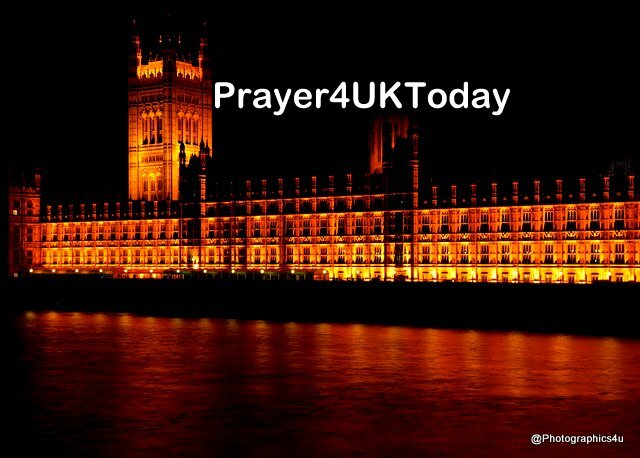 · We decree and declare that our Prime Minister Theresa May, her Cabinet and the Government are being STRENGTHENED in the POWER of the Lord/ Adonai. Holy Spirit/ Ruach HaKodesh is filling them with WISDOM and HUMILITY of God Almighty/ El Shaddai. They are rising above the popular decisions of the World and standing STRONG for YOUR TRUTH, Lord/ Adonai! · We decree and declare our Leaders will HUMBLE themselves before God/ Elohim and man, kneeling and prostrating themselves, with their hands raised toward heaven, saying: Lord God/ Adonai Elohim, there is NO GOD LIKE YOU in Heaven or on Earth. You KEEP COVENANT with your Servants and show them GRACE, PROVIDED they live in YOUR PRESENCE with all their Heart! · We decree and declare the Lord God/ Adonai Elohim keeps His PROMISES, if only the People are CAREFUL about what they do, so that they LIVE by His Word, and dwell in His Presence. He pays attention to the PRAYERS of His People, as they call out to Him with HUMBLE Hearts. · We decree and declare God/ Elohim STRENGTHENS you, according to the Good News, in HARMONY with the revelation of the SECRET TRUTH which is the proclamation of Jesus Christ/ Yeshua Messiah which was kept HIDDEN in silence for ages and ages but is MANIFESTED NOW through the Prophetic Writings. · We decree and declare the TRUTH of the Good News is communicated to all Nations to PROMOTE in them TRUST GROUNDED OBEDIENCE to the only wise God, through Jesus Christ/ Yeshua Messiah; to Him be the GLORY FOREVER and EVER, Amen!